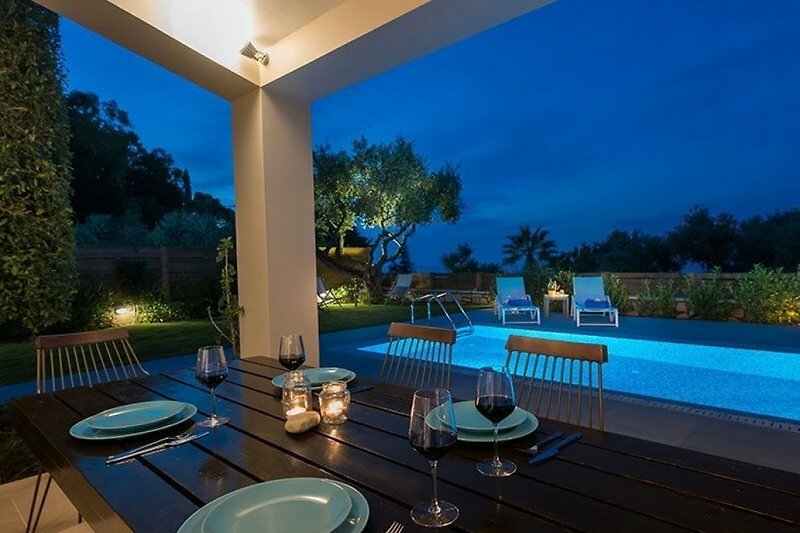 Located in the Village Akrotiri of Zakynthos just 2km from Zante town, the Villa complex overlooks the nearby dazzling sea as well as the graceful plains of the country side. Combining contemporary design with comfort, the villas are considered a masterpiece of architecture. 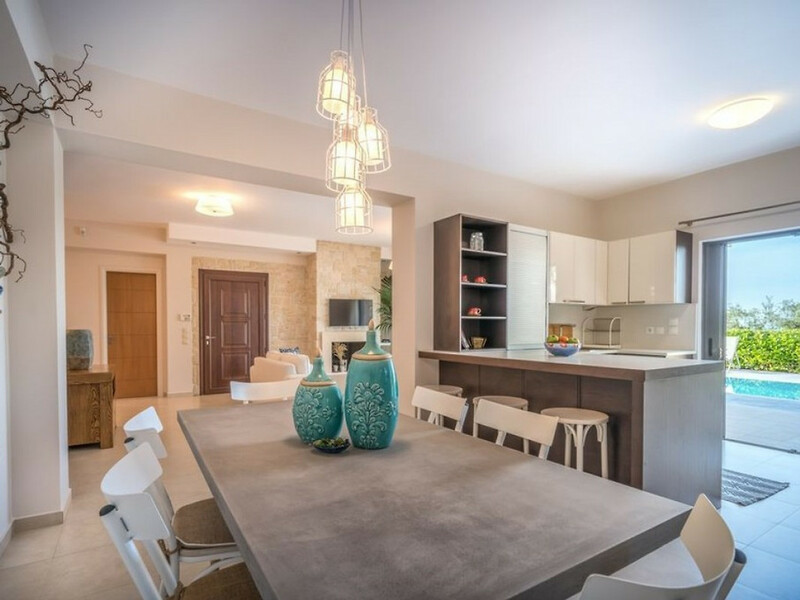 These two elegant villas feature private swimming pools, indoor parking and an outdoor barbeque and dining table where guests can enjoy a delicious meal under the stars. The well kept gardens are ideal for children to play safely. 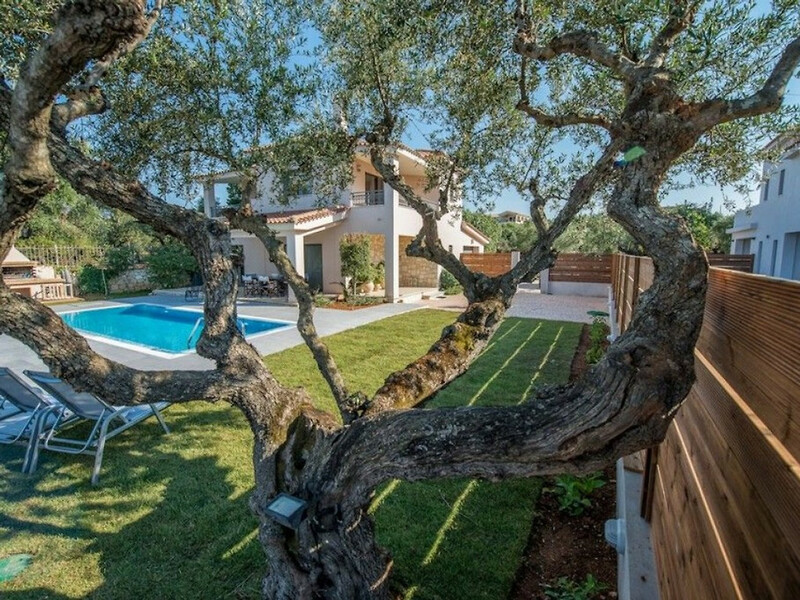 Villa Mari features two floors and is suitable for up to 6 people. 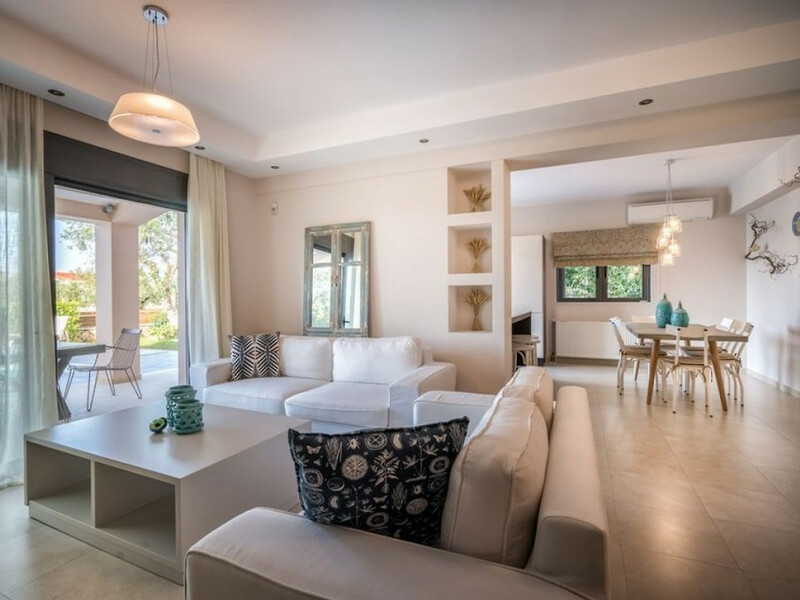 The inside of the villa offers 200 square meters of spacious and comfortable open plan living areas. 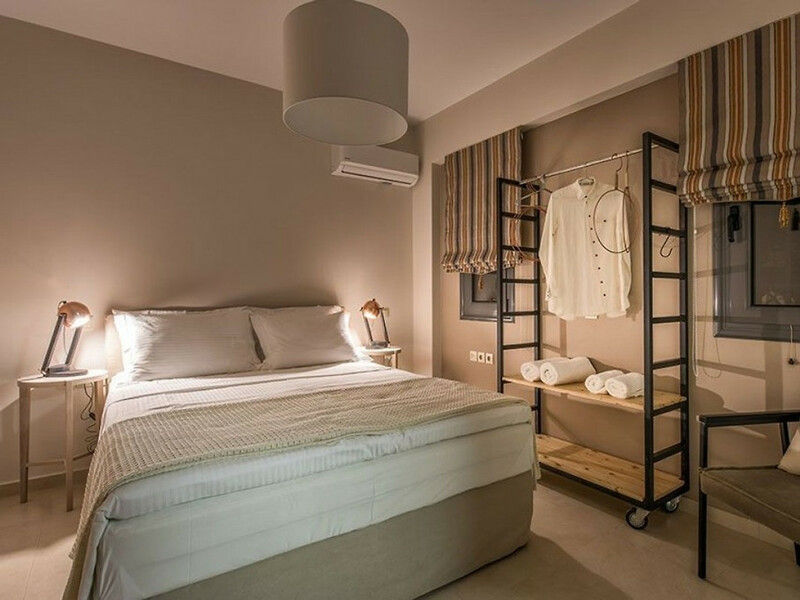 There are sunbeds, umbrellas and an outdoor shower by the private swimming pool (23 square meters) as well as indoor parking and a barbeque. The villa also includes an alarm system to ensure guest“s safety. Spend your day soaking up some sun by the pool or admiring the amazing view of the endless blue of the Ionian Sea laid out right in front of you. 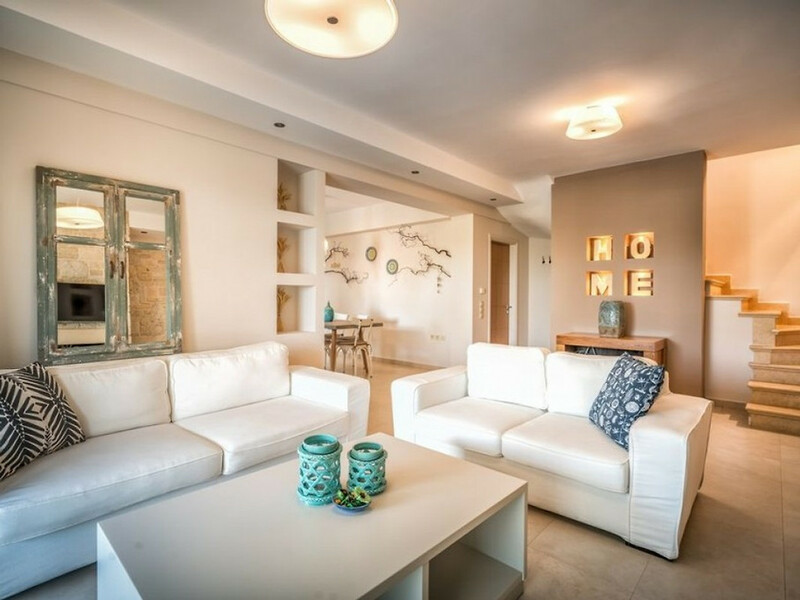 If you are looking for a rejuvenating vacation, these Villas are here to offer you an escape from everyday routine all year round. 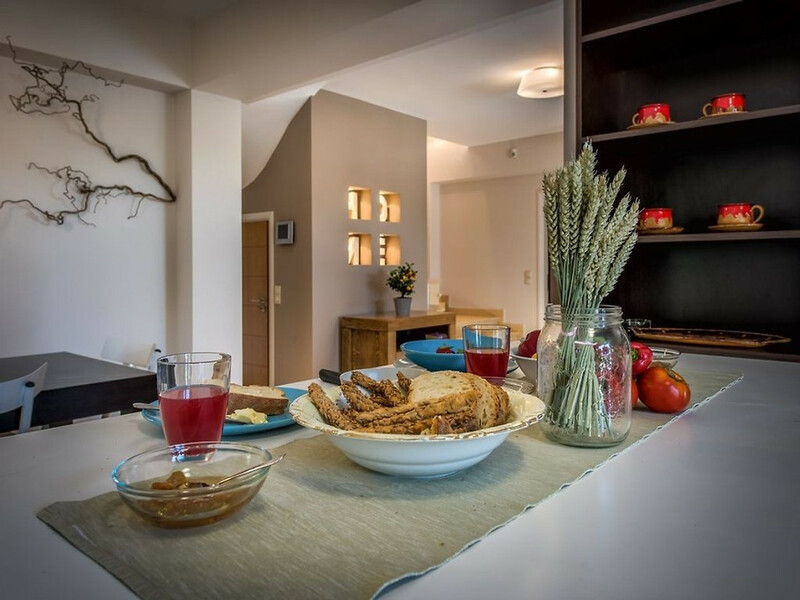 On the ground floor you will find a cozy living room, a top-of-the-line family sized kitchen ideal for preparing delicious meals and a double bedroom with a bathroom which includes a shower. 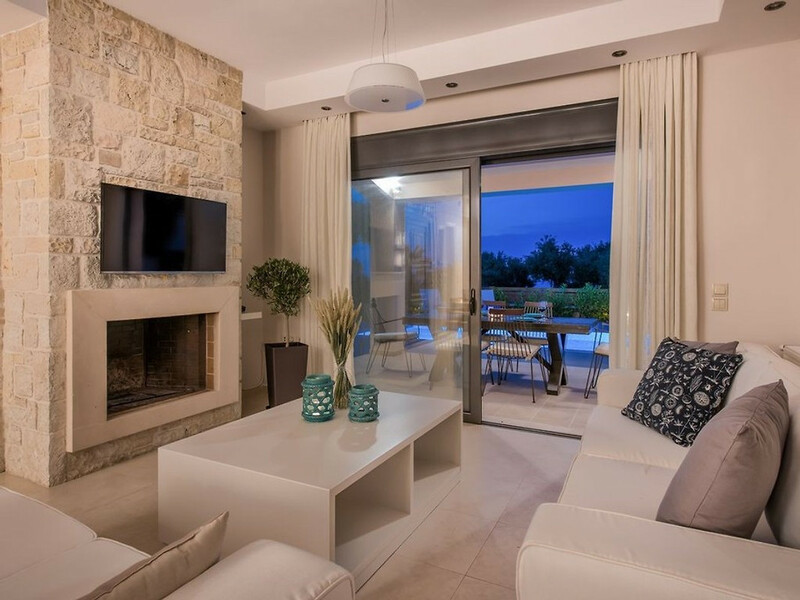 The large panoramic windows in most rooms offer amazing views of the area surrounding the villa. 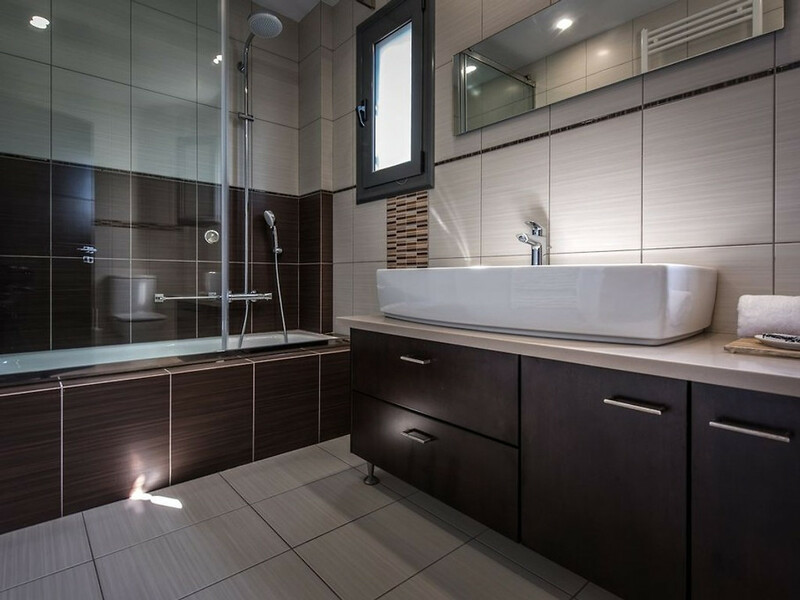 The staircase leads you to the second floor which includes 2 double bedrooms with en suite bathrooms that feature modern bathtubs. 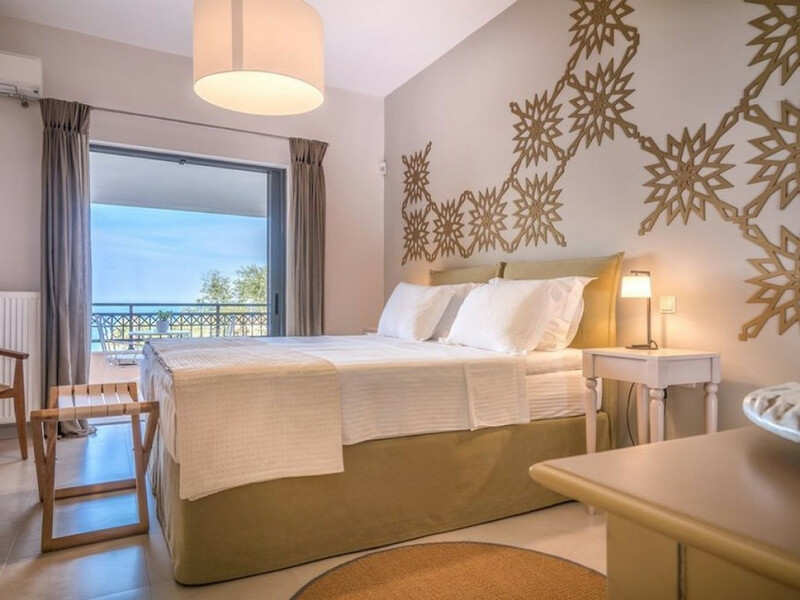 The bedrooms enjoy amazing sea views or look over the green garden and surrounding countryside. 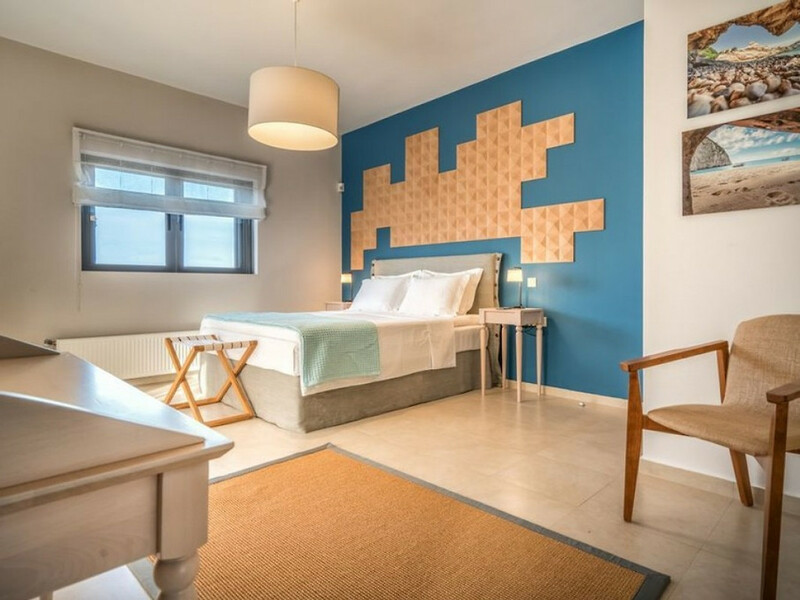 All of our rooms are fully equipped with Coco-Mat beds (there are top quality natural mattresses and sleep products) and include air conditioning and led TVs. 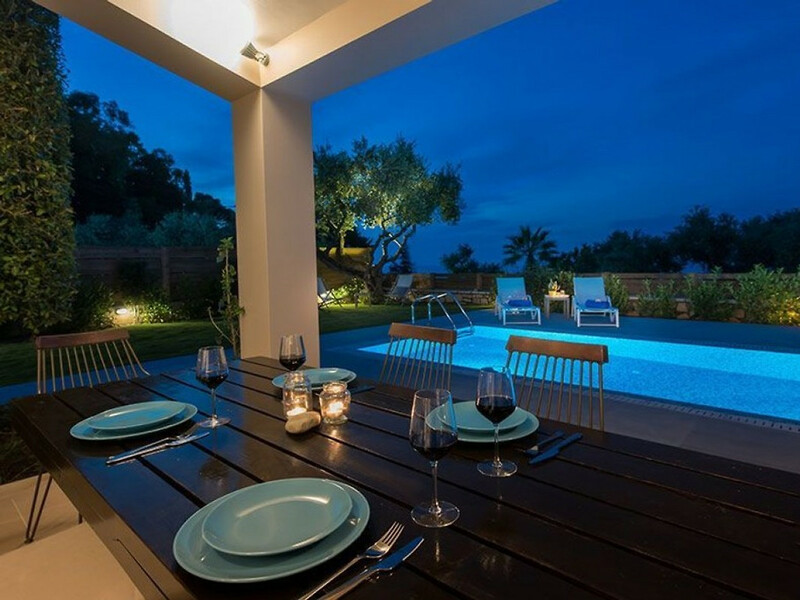 The modern Villas are situated on the east part of Zakynthos, in the village of Akrotiri close to basic facilities such as traditional tavernas and a super market. 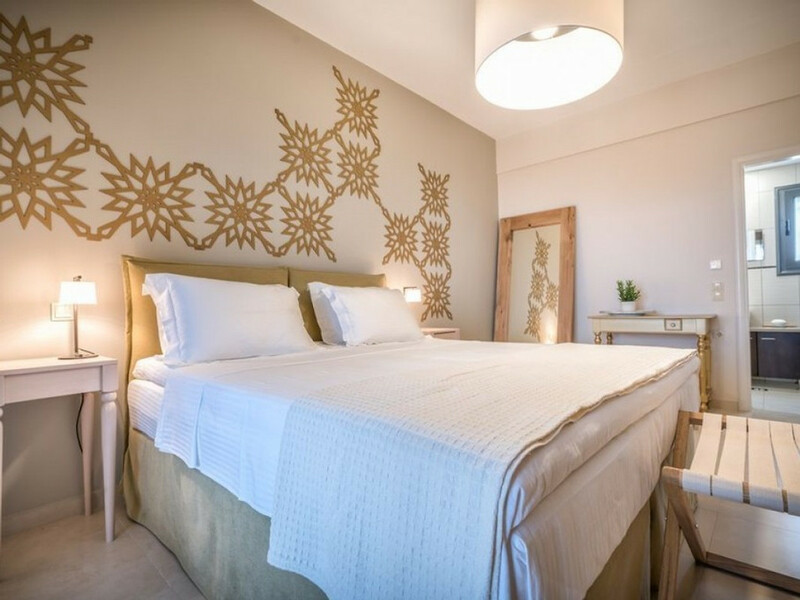 It is only 1.8 kilometers from Zante town giving guests easy access to the many shops, restaurants, tavernas, cafes and museums. Tsilivi tourist resort (2 kilometers away) offers a vivid nightlife with a variety of bars and clubs as well as a sandy beach with shallow waters, ideal for children. There are also beach bars, water sports and a water park for the more daring.